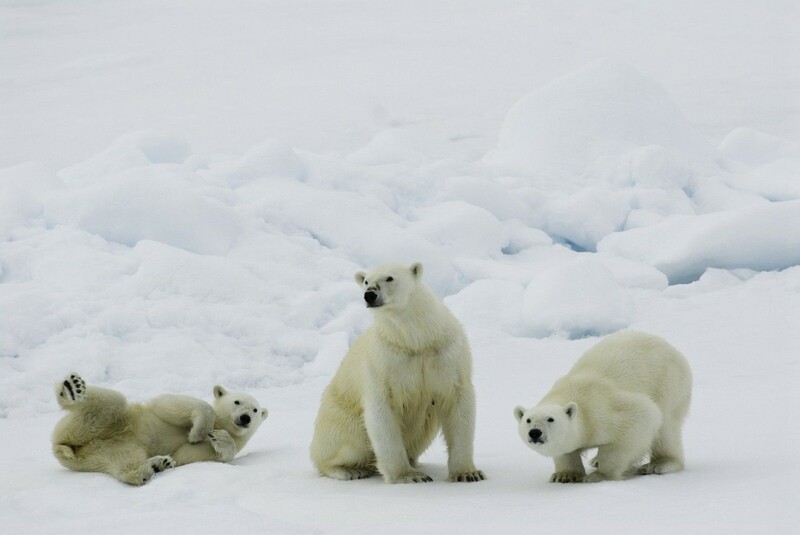 Start your North Spitsbergen cruise with a trek around historic Longyearben, then join our expedition to the north of the island to take in the fantastically beautiful landscapes, the thousands of seabirds, and of course the star of the show, the polar bear. Hinlope Strait is a highlight. Hinlopen Strait, home to bearded seals, ringed seals, and polar bears. At the entrance there is even the possibility to spot blue whales. After cruising among the ice floes of Lomfjordshalvøya in the Zodiacs, you can view the bird cliffs of Alkefjellet with their thousands of Brünnich’s guillemots. On the east side of Hinlopen Strait, you may attempt a landing on Nordaustlandet. Here reindeer, pink-footed geese, and walruses are likely sights. You can take an alternate route if ice prevents entry into Hinlopen. The northernmost point of your voyage may be north of Nordaustlandet, in the Seven Islands. Here you reach 80° north, just 870 km (540 miles) from the geographic North Pole. Polar bears inhabit this region, so the ship may park for several hours among the pack ice before wheeling around west again. Keep watch for polar bears and elusive Greenland (bowhead) whales. About 40 nautical miles west of Spitsbergen, you sail the edge of the continental shelf. Here fin whales forage during the summer in the upwelling zones (where cold, nutrient-rich water wells up from below the sea’s surface) that run along the Spitsbergen banks. At the mouth of Kongsfjorden, you have a good chance of sighting minke whales. 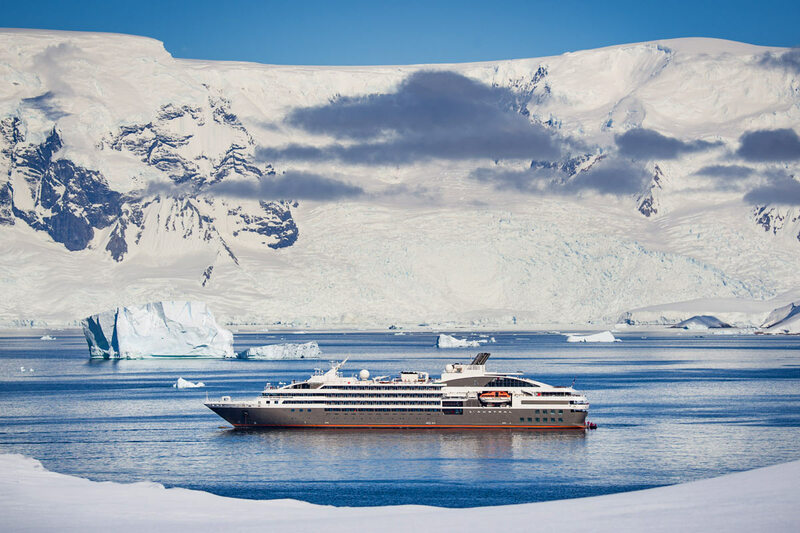 Vessel Type: Expediton Length: 91m Passenger Capacity: 108-123 Built / Refurbished : 1989 / 2015 The vessel has the highest ice-class notation (UL1, equivalent to 1A) and is therefor suitable to navigate in solid one-year sea ice as well as loose multi-year pack ice. Ortelius can accommodate up to 116-123 passengers (108 passengers as of season Arctic 2020) and has an abundance of open-deck spaces. 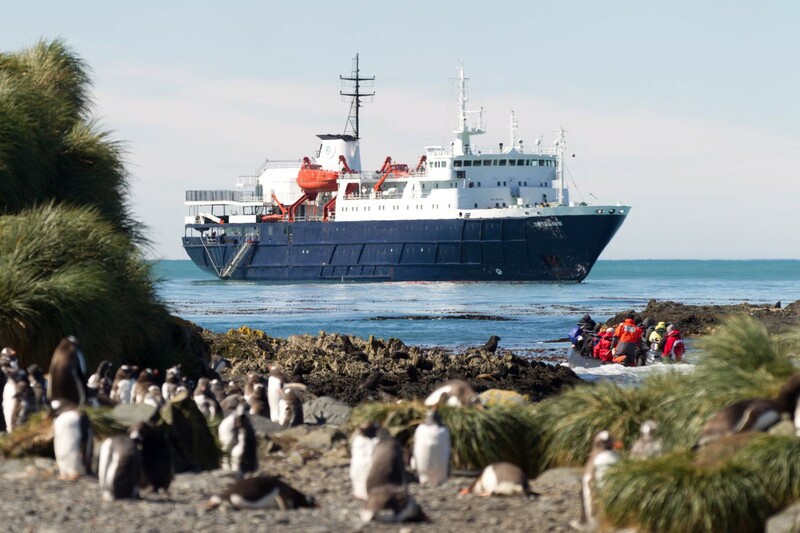 It is manned by 22 highly experienced nautical crew members, 19 hotel staff, eight expedition specialists (one expedition leader, one assistant, and six lecturer-guides), and one doctor. Though our voyages are primarily meant to offer our passengers an exploratory wildlife program with as much time ashore as possible, Ortelius offers all the comforts of a standard hotel ― along with a bar and lecture room. Flexibility assures maximum wildlife opportunities. As such, Ortelius carries 10 Zodiacs with 60hp Yamaha engines.